Most of us know that two of the country's colonial colleges (Princeton and Rutgers) were founded in our state, but few probably realize the college of New Jersey (now Princeton University) was located at Broad and William streets from 1748 until 1756. Princeton, which is marking its 250th anniversary, opened its doors in Elizabethtown (now Elizabeth) in 1747. The Rev. Jonathan Dickinson was elected as its first president. However, his sudden death was followed by its move to Newark. In Newark, the Rev. Aaron Burr Sr., minister of Old First Church (Presbyterian), was elected as its second president. During the college's time in Newark, it graduated 80 students mostly as Presbyterian ministers. The college's first commencement took place on November 9, 1748, and was described as a colorful affair. Of the original eight students enrolled in class, six completed the requirements for graduation. They included Richard Stockton, Enos Aynes, Benjamin Chestnut, Hugh Henry, Israel Reed and David Thorn. All became ministers with the exception of Richard Stockton, who was a well-known lawyer and one of the signers of the Declaration of Independence. 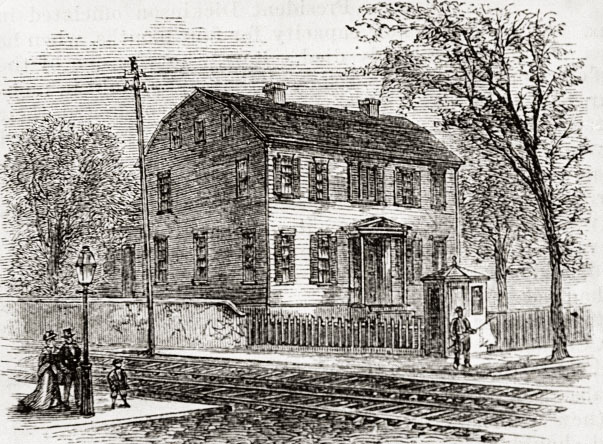 The graduation march began at the Broad and William Street parsonage and wound its way north to Old First Church. The short line of degree recipients was enhanced by the college trustees, the president and New Jersey Governor Belcher.But the college of New Jersey was not to remain in Newark for long. Serious land riots cast a pall over the city's future, and in 1753 the college trustees voted to move from Newark with a possible home at New Brunswick or Princeton. The latter won, and in 1754 plans were made for a building. In 1756, students and faculty took up residence at Princeton's stately Nassau Hall. More than two centuries later, Newark has again become an important ''college town'' as home to Rutgers-Newark (seat of the old University of Newark), New Jersey Institute of Technology (formerly Newark College of Engineering), Seton Hall Law School, Essex County College and the University of Medicine and Dentistry of New Jersey.